The price of oil: everyone seems to be fixated on it. That’s because it also seemingly drives every aspect of the offshore energy business. This includes OSV day rates, rig utilization, shipbuilding and repair, and yes, manpower recruitment, retention and training. One year ago, the price of Brent Crude Oil was hovering at about $108 per barrel. At press time, the same commodity hovers at $60 per barrel. What a difference a year makes. Nowhere is that pain felt more acutely than in the human resources end of the business, where an estimated 120,000 professionals have gotten pink slips. Ulstein Group introduced the X-STERN, a design feature increasing vessel operability through positive effects on station keeping, wave response, comfort and safety in harsh conditions. An X-STERN vessel can stay on position in harsh weather with the stern towards waves, wind and current. For vessels where the best possible motion characteristics are vital, positioning the X-STERN towards the weather instead of the bow will be the captain’s natural choice. The X-STERN leads to reduced pitch and wave drift forces, as well as eliminating slamming. Helge Vatnehol has been appointed Group CEO of Rapp Marine. Vatnehol comes from the position of Senior Vice President Offshore Deck Machinery in Rolls Royce and takes over on September 1, 2014. “The companies in the winch division of former Rapp Marine Group have been collected within Rapp Marine Group. We are delighted that Helge Vatnehol has accepted the challenge to lead the group,” said Board Chairman of Rapp Marine, Olav Fjell. Vatnehol joined Rolls-Royce in 2000. He is currently Managing Director and board member of its Norwegian branch Rolls-Royce Marine AS. Ulstein Group reported it delivered a good result for 2013 with an operating income of NOK 2.3 billion compared to 2012’s result of NOK 2.27 billion. Similarly, Ulstein’s operating profits improved in 2013 to NOK 317.8 million from NOK 228 million in 2012. The group’s operating result before tax was NOK 360.8 million, compared to NOK 211.4 million in 2012. Ulstein said it currently has more than 40 vessels in order, of which six to be built at its own yard, while the rest are being built at several shipyards worldwide. At the end of 2013, Ulstein Group had an order reserve of NOK 2.6 billion. Ulstein has sold design and equipment packages for four ocean going tugs to Niigata Shipbuilding & Repair in Japan. The vessels will be built for the Dutch company ALP Maritime Services. The vessels are primarily designed for towing of large structures over long distances. This is a new market for Ulstein and the contract represents so far the highest value in one single contract for Ulstein Design & Solutions. The vessels of the SX157 design are developed especially for this project in close collaboration with ALP. Nordic American Offshore Ltd. (NAO) announced that Tor-Øyvind Bjørkli will join the company as chief executive officer (CEO), effective April 1, 2014. Tor-Øyvind will be working from out of the Oslo office on the same premises as Orion Tankers; the chartering department of Nordic American Tankers Limited (NAT). A subsidiary of Nordic American Tankers is the manager of the recently established Nordic American Offshore Ltd. (NAO). 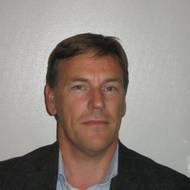 Tor-Øyvind graduated from Vestfold University College with a Bachelor of Science degree in Marine Engineering in 1992. Nordic American Tanker (NAT) opened this morning on the stock exchange down more than 10% (Down $0.85 to $8.025/share in late morning trading) after saying it has priced a 8.13 million public offering at $8 per share, an almost 10% discount to Thursday's closing price. The company has granted the underwriters a 30-day option to purchase up to an additional 1,218,750 common shares. In making the offring announcment, the tanker company said CEO Herbjoern Hansson is expected to buy 250,000 shares in the offering at the same terms as other investors. Ulstein Group report an operating income of NOK 2.27 billion and an operating profit of NOK 228 million in their 2012 financial report. “We deliver a good result in a demanding market thanks to our competent and hardworking employees and an organisation that provide for execution and delivery precision. The good collaboration we have with our customers and suppliers creates good and future-oriented solutions. The result will allow us to develop further, so that we can continue to develop innovative product and services to the maritime market,” says CEO of Ulstein Group, Gunvor Ulstein. Ulstein Group joined forces with GC Rieber Shipping to provide a ship that refuses to accept failure, thanks to pioneering ‘operation+’ philosophy. GC Rieber Shipping, the Norway-based harsh environment shipping specialist, has charged Ulstein with developing a high-capacity subsea vessel based on its SX121 design. This NOK 800 million ship, ordered in June 2012, alongside an option for a sister vessel, has been commissioned in response to strong market desire for offshore construction support vessels (CSVs) for deep and harsh environments.